$25.00 Gift Card. 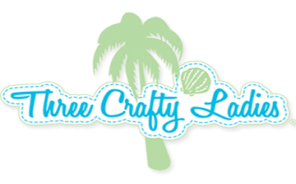 To redeem on web orders, please call us at 239-472-2893 (Monday-Saturday 10-5pm EST) or e-mail orders to info@threecraftyladies.com and include Gift Card number located on the back of the card. $50.00 Gift Card. To redeem on web orders, please call us at 239-472-2893 (Monday-Saturday 10-5pm EST) or e-mail orders to info@threecraftyladies.com and include Gift Card number located on the back of the card. $75.00 Gift Card. To redeem on web orders, please call us at 239-472-2893 (Monday-Saturday 10-5pm EST) or e-mail orders to info@threecraftyladies.com and include Gift Card number located on the back of the card. $100 Gift Card. 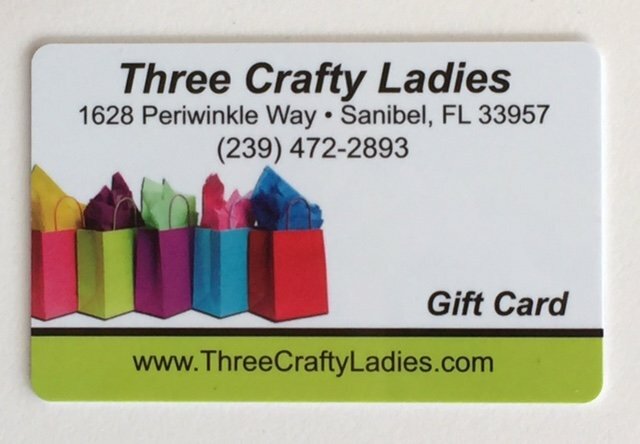 To redeem on web orders, please call us at 239-472-2893 (Monday-Saturday 10-5pm EST) or e-mail orders to info@threecraftyladies.com and include Gift Card number located on the back of the card.